Home/Wayne Hayes - Fort Atkinson Real Estate Blog/Should You Buy a Condo or a House? Besides location, housing type is one of the most important decisions a home buyer will make. Should you buy a house or a condo? When buying a house, you not only buy the house but also the land. When buying a condo, you buy the interior unit space and typically share the exterior amenities. There are a few primary differences between owning a house and owning a condo. Owning a condo means you must pay condominium association fees and often benefit from shared amenities and lower maintenance. Outside of your monthly mortgage payment, you will pay an association fee to cover the cost of exterior repairs, landscaping, and amenities. There are also space and cost trade-offs. Often you can purchase a condo for less than a single-family home, but you will sacrifice space and privacy. Even though a home may cost more, you have a yard, more living space, and more storage space. These key differences lead to various advantages and disadvantages. Amenities: Condo owners often enjoy the benefits of shared amenities such as a fitness center, a swimming pool, a playground, or event/meeting space. Low Maintenance: Instead of worrying about both the exterior and interior, condo owners are usually solely responsible for interior maintenance. Most condo owners enjoy the convenience of not worrying about shoveling snow, mowing the grass, landscaping, or exterior repairs. Community: With other condo owners nearby, condo owners often feel a sense of safety and community. 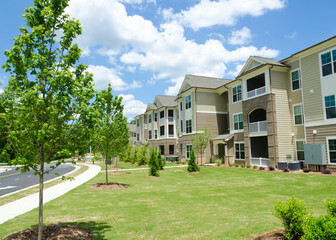 Condos are often located in urban areas in close proximity to restaurants, shops, and activities. Limited Space: With other condo owners nearby, privacy is limited. Condo owners must be considerate of their neighbors and adhere to the association rules. Association Fees & Rules: Association fees can be pricey and variable. If maintenance is needed, the fee may increase when extra money is needed. Condo owners must abide by the rules and restrictions of the association. Some buyers don’t like these limitations. Shared Decisions: The association makes decisions regarding the condo building. This means all owners share in the decision-making process. You do not have complete control outside your unit. Privacy: Homeowners enjoy more privacy with a yard and greater distance between neighbors. Space: With extra indoor space, homeowners have more storage in basements, attics, or closets. With extra outdoor space, it is easier to accommodate pets and children. Control: Homeowners have total control over maintenance, remodeling, and home improvements. Maintenance: Homeowners are responsible for all interior and exterior maintenance. Homeowners must shovel snow, mow, and maintain the yard. Investment of Time & Money: Homeowners invest in equipment and tools for maintenance. If you want a pool or a home gym, you are looking at a significant investment and additional maintenance. These investments will increase your home’s value but will also require time and money. Higher Utilities: Since a house is generally larger and is not insulated by other units, utility bills are generally higher. With these advantages and disadvantages in mind, the right choice depends on your lifestyle, location, and budget. Consider the following key lifestyle factors: maintenance, space, privacy, control and rules of ownership. Determine if you want to live in an urban location with close proximity to shops or if you prefer your space and don’t mind a drive to the store. Lastly, consider if you want to pay monthly fees to the association or make an up-front investment to maintain your home. Condos and houses come in all shapes and sizes. The association fees, association rules, and shared amenities will vary depending on the condo association. One condo may be in a high-rise building while another condo may be a side-by-side with a yard. The maintenance guidelines, space, privacy, and rules of ownership will vary between neighborhoods and cities/towns. Condos are a great alternative for individuals who want to live in urban areas, individuals who travel often, individuals who desire convenience and low-maintenance, homeowners who want to downsize, and seniors who don’t want to worry about maintenance. Houses are a great alternative for individuals who value privacy and space, couples starting a family, and families who have outgrown their current living quarters. When searching for your new home, determine your priorities and share your preferences with your realtor.